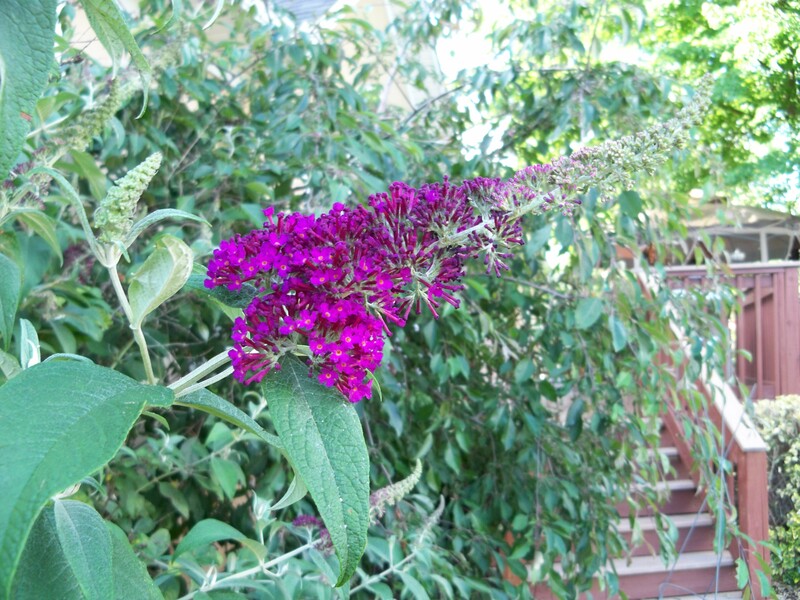 So we have been talking about beautiful Butterfly bushes recently and how they usher in so many little creatures. 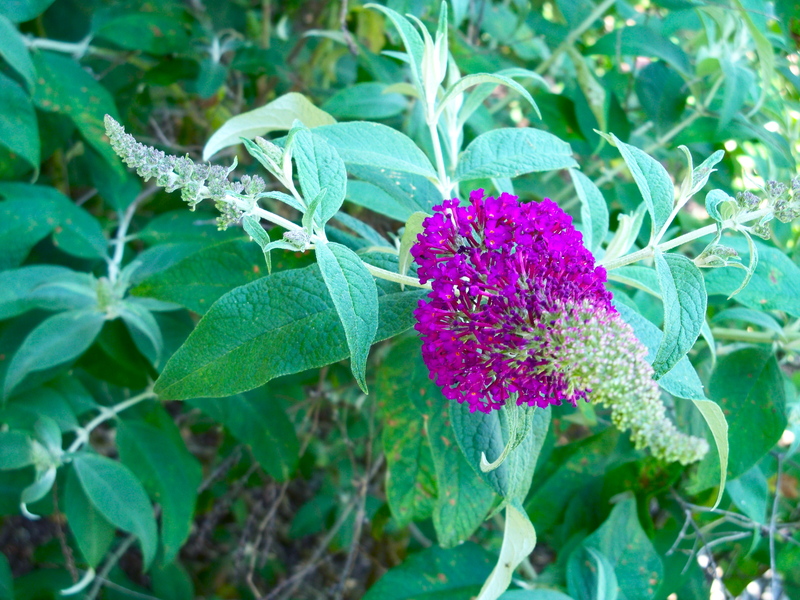 Just recently we were trimming some of the bushes and trees in the yard and had considered trimming back the butterfly bush. As we always do, we check to make sure there are no inhabitants, wildlife or otherwise that we would disrupt or force out. We had been admiring and enjoying the beautiful flowers up close, when we realized there was something else that had made a home in the tree outside of hummingbirds, bees, and butterflies. It was the cutest little nest tightly tucked up and away out of sight. Since we know not to touch the nest or get too close to it for fear of the mother rejecting her young, we went up on a ladder on the far side of the house giving us a clear view with the ability to zoom in with the camera to see if the nest was vacant or had any activity. To our surprise and wonder we found such an incredible sight of nature and life first hand. 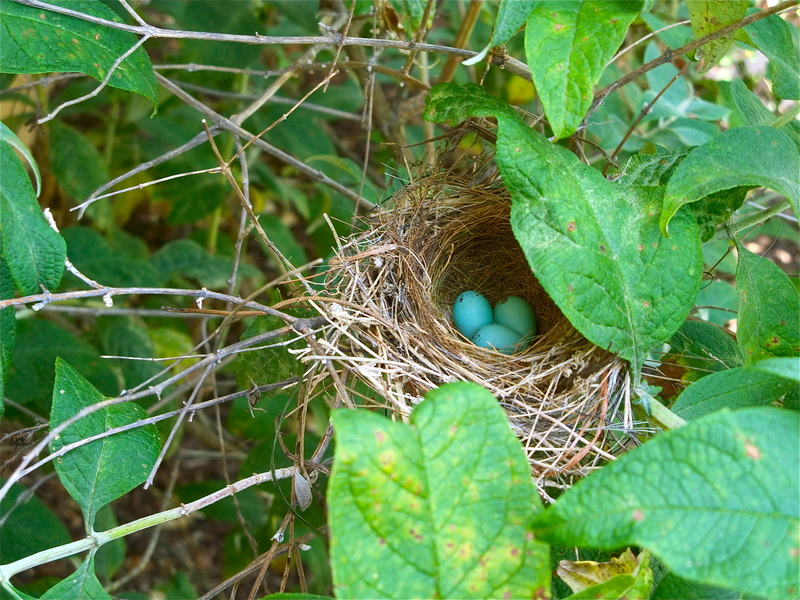 There was life with two darling little blue eggs in this perfect little nest. 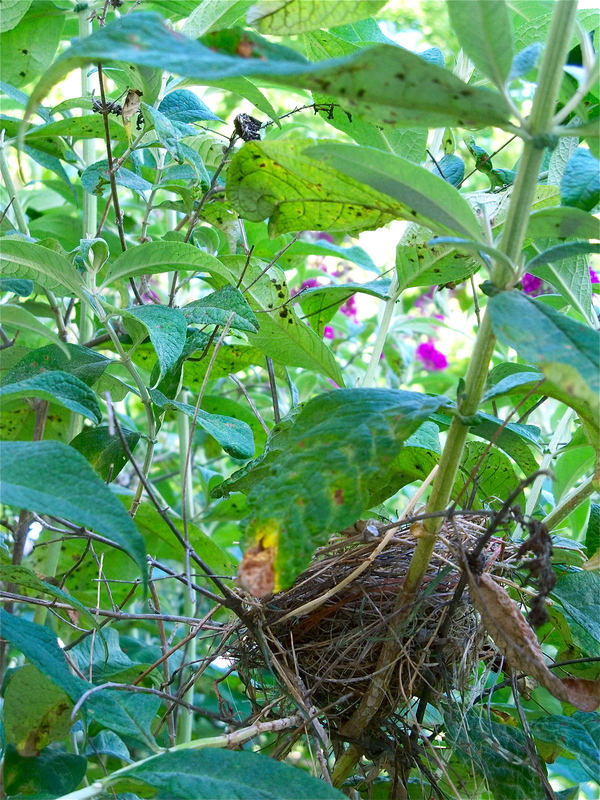 The nest is in such a tall butterfly bush that was the perfect planned place for them. With the nest in mind the plans to cut the bush were ceased. That evening we had a terrible storm with very cold temperatures, pounding rain, thunder, lightening and even hail. 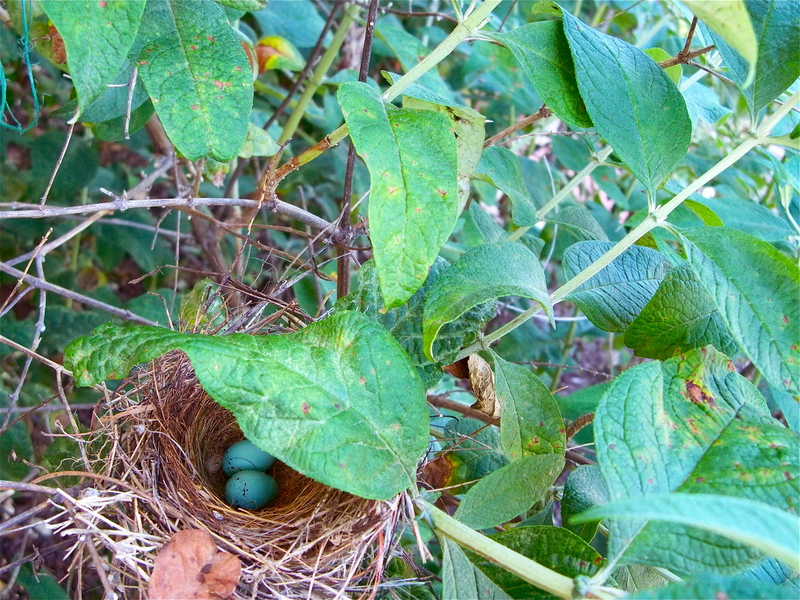 We were worried about the garden, and then it dawned on us, and we began to worry about the nest. and whether it had made it through the wicked storm. So back up on the ladder again for an inspection from the distance using the zoom feature on the camera. Not only was the nest still perfectly intact, it had a leaf canopy covering it so perfectly keeping the rain out. The mother bird sure did a great job planning and keeping her babies safe. The canopy appeared to be just like an umbrella but perhaps a bird nest umbrella perfectly placed with the just right size leaf to cover the nest. There was another amazing thing. The nest had changed since the first view only 24 hours earlier. There were now three eggs and not two. see any heads bobbing or chirping coming from the tree. It really was such an amazing sight to witness. This sight seemed so perfectly fitting with Mothers’ Day around the corner. It showed the gallant effort and LOVE a Mother makes and the great lengths of protection she provides to her young as they grow. Mothers’ are an AMAZING gift and even these little birdies have a Mother to be grateful and thankful for. Mothers’ are a GREAT BLESSING! Happy Mother’s Day to All of you Incredible Mothers out There! Enjoy your Day and Make it GREAT.